Rodrigo Botti admits he attacked Matt Brown the morning after he lost to Demian Maia at UFC 198, but has a different story to tell. “The Immortal” says he was sucker punched by his former jiu-jitsu coach at the host hotel in Curitiba, Brazil, but the Brazilian denies punching him behind. In fact, Botti claims that Brown saw him the night before when he was visiting a few friends at the Four Points hotel right after UFC 198. “I saw him the night before (Sunday) because I went to the hotel to see my friends,” Botti told MMA Fighting. “I went back to my hotel to sleep and went back to their hotel to say goodbye to my friends. When you’re cowardly assaulted like I was, you can’t control yourself. This guy destroyed my career, I lost part of my vision because of him, had to do another surgery. I couldn’t sleep normally for 15 months, it changed my entire life. I simply exploded (when I saw him). 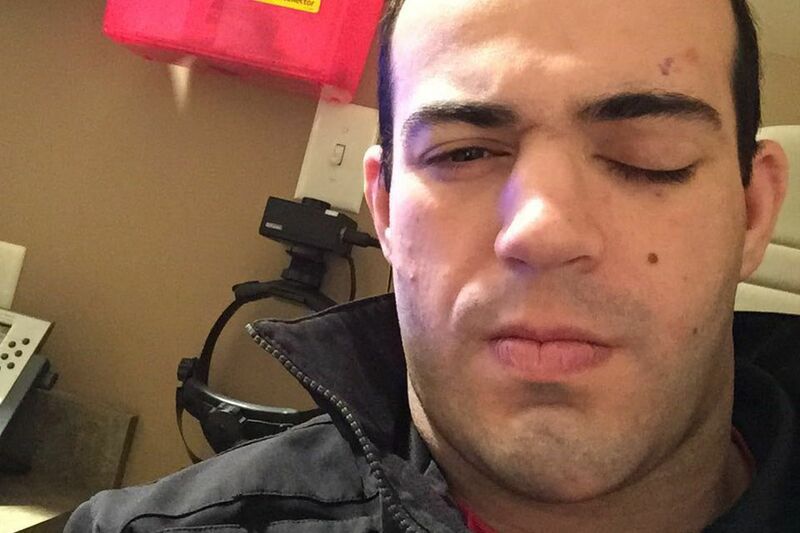 In February 2015, Botti accused “The Immortal” of assault, allegedly opening “16 internal stitches” in his left eye.